Our Australia Family Getaway travel package was designed for a family of 4 from Seattle. The parents loved marine life and were serious divers, so we sent them to Heron Island for a week of island adventure. After arriving in Cairns, they were transferred via boat to Heron Island and settled into their rooms at Heron Island Resort. This luxury resort is actually on the Great Barrier Reef, one of the 7 natural wonders of the world. 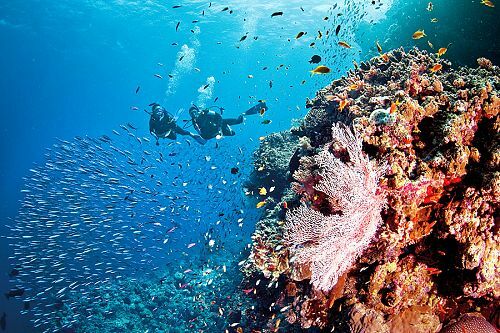 During their stay, they were free to explore more than 20 different diving sites off Heron Island, many of which are just minutes away from the jetty. They were thrilled with the acres of living, unspoiled coral teeming with fish, and went on many water-based adventures. Heron Island Resort has plenty of family-friendly activities to enjoy. Our clients went with the kids on guided reef walks and took a fascinating tour of the world-class Heron Island Research Station to learn about the many studies taking place on this wildlife-rich island. They also got a truly unforgettable experience when they witnessed sea turtles nesting on the beach from a close distance. Throughout their Australia Family Getaway, they enjoyed delicious gourmet meals and wine, and were able to unwind with rejuvenating treatments at the Aqua Soul Spa. After 7 fabulous nights on Heron Island, their Australia Family Getaway Came to and end. They were transferred via boat to Cairns and to the airport to begin their trip home. 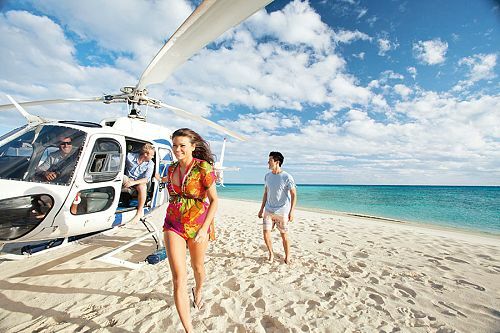 Enjoy a boat transfer to Heron Island and settle into your luxurious room at Heron Island Resort. This magical resort off the coast of Queensland offers an ideal family escape, with gorgeous beaches and easy access to the Great Barrier Reef. The rest of the day is yours to spend as you wish. Spend the week at your leisure. Opportunities for adventure abound on Heron Island. Spend your family vacation exploring the island and the surrounding Great Barrier Reef, either on complimentary guided walks or longer day trips and nature tours. In peak season, see the island’s main attraction: sea turtles! The turtles use the island as a nesting ground from November to April. Otherwise, keep an eye out for humpback whales. Today marks the end of your magical family adventure. Enjoy a transfer to the airport to begin your journey home.